Without Hon Lik, the world of e-cigarettes would be a very different place indeed. 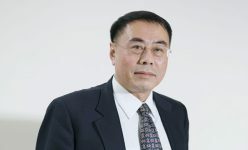 Born in September 1951, Lik is the man responsible for inventing the modern e-cigarette when, in 2001, he started work on a device that would deliver a nicotine hit without the need to smoke cigarettes. In these early days, Lik’s invention was markedly different to the ones we’re now familiar with. Instead of a heating element, which is now used to heat the e-liquid and produce vapour for the user to inhale, Lik’s initial design made use of a piezoelectric ultrasound element. It was bigger and bulkier than the e-cigarette design vapers have become accustomed to today, but it was a significant start. As the months passed, Lik’s idea was refined, and a smaller, more practical device that used a heating element was patented in China in 2003. In 2004, e-cigarettes hit the market for the first time through the Chinese company Ruyan, which Hon worked for. In 2005, Ruyan started exporting e-cigarettes outside of China, and in 2007 they entered into the US market. They were a rapid success. By 2014, global sales of vaping devices were worth just under $5bn, and that number is expected to rise rapidly across the next few years, hitting over $15bn by 2019. The majority of sales come from Lik’s home country of China, with the USA contributing the second highest level of sales and Japan, Russia, and Germany making up the rest of the top five. Find out more about Hon Lik in blu’s exclusive interview with the man himself.